Offer your customers style without compromise on energy savings and thermal comfort with aluminium French doors from Sternfenster. We offer the incredible Alitherm Plus range of aluminium French doors. British engineered and designed, the Visoglide Plus is a system of outstanding quality. Add touch of classic, continental style with our aluminium French doors. Our strong, secure and long lasting aluminium French doors are the perfect fit for your property. Versatile, durable and stylish, the Smart aluminium French door is one of the most popular door systems in the UK and is suitable for residential as well a slight commercial applications. The Alitherm French doors from Sternfenster are designed for robust performances, easy installation, as well as being designed to perfectly complement our aluminium window range. Our aluminium French doors are also thermally broken, meaning heat loss through transfer is prevented by the use of a polyamide thermal barrier. Our 28mm double glazed units can achieve a U value of 1.8 W/m²K for excellent protection against the cold weather. Due to aluminium being naturally stronger than alternative materials, our French doors come with slimmer frames and a larger glass area, for that truly stylish look that homeowners love. Add to that the low maintenance aluminium requires and you get an irresistible product for your clients. Available in either twin track or triple track options, door leafs can be specified in widths up to 2500mm. The maximum size of our Visoglide aluminium French door is 7000mm wide by 2700 mm high. The Smart aluminium French door is one of the market-leading aluminium systems in the UK and looks great in any setting. Our expertly crafted aluminium doors can be specified to suit any style of home and come in a comprehensive range of style and colour choices. Aluminium French doors are amazingly strong and durable so allow you to benefit from slimmer frames and more glass. This opens up your property to greater light and views, making rooms appear bigger and brighter. Our aluminium French doors are ideal for linking rooms within your property as well as connecting home and garden. They can be adapted to suit a variety of sizes and have been built to provide a smooth entrance and offer effortless movements. If you require low thresholds for wheelchair access to your property, then our aluminium thresholds are far superior to wood or uPVC. Our low thresholds comply with the Document M building legislation. Our superb aluminium French doors offer high performance with a sleek, modern aesthetic produced by the slim sightline frames that will work brilliantly in any style of property. They can be configured to open inwards or out depending on the situation and the space available to you. Security is enhanced through features such as internal beading and high security multi-point locking mechanisms with lever handles. These state of the art aluminium French doors incorporate a Z/T designed sash section and weather brushes to provide excellent resistant to even the worst weather conditions. The 28mm double glazed units achieve excellent energy efficiency with a polyamide thermal barrier improving heat retention to reduce your energy consumption and save you money on your heating bills. These stunning aluminium French doors are available with a low threshold to comply with Document M building legislation. You can also choose from a broad palette of colour finishes including a dual colour option to perfectly match your exterior architecture and your interior décor. The Aluminium French doors design comprises a ‘flying mullion’ feature, which means that no static fixtures are required when the door is opened. Not only does this mean that only can you enjoy increased ventilation, it also means that you’ll be able to benefit from unrestricted access and unobstructed views. This aspect can be combined with our Document M compliant low thresholds to offer a degree of accessibility that is sure to be a worthwhile addition to any home. This means that they will enable wheelchair and pushchair users complete ease of access. All of our aluminium French doors are fitted with intelligent hinges that prevents them from opening past their set angle. 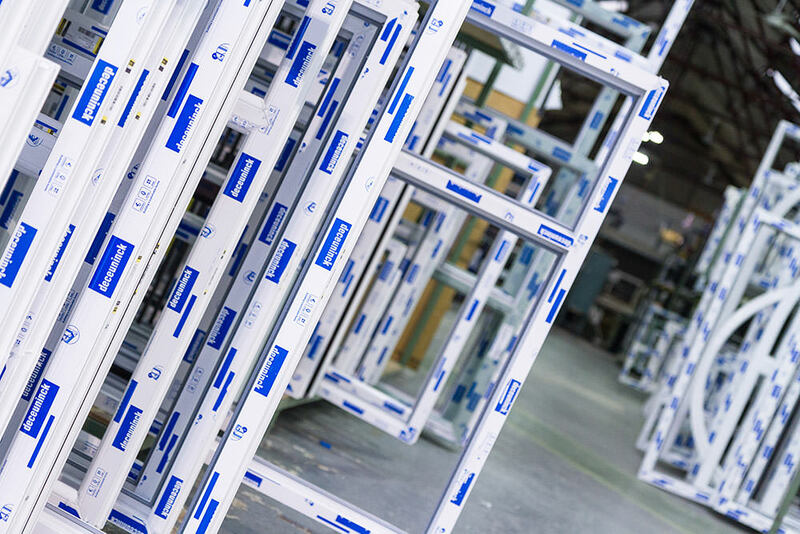 The Smart aluminium profile used throughout the manufacture of our aluminium French doors utilises premium grade aluminium to ensure they achieve an outstanding level of appearance and structural integrity. This means they will achieve an impressive lifespan, promising quality that is set to last even after extensive use. The aluminium French doors that we offer can be tailored to suit both the appearance and size of your home. 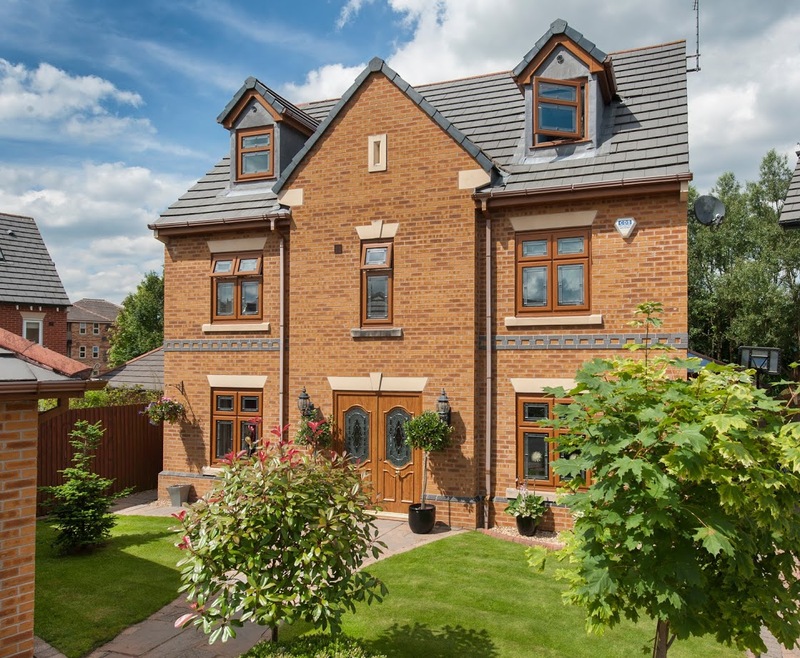 This means that whether your home is modern, traditional, period, heritage or new build, we’ll be able to offer a home improvement solution that’s ideal for you. We make it easy for you to enhance your home with the cutting-edge. Our comprehensive selection of handles, hinges and colour options allow you to customise your aluminium French doors right down to the detail. All of the colours we offer are applied with a highly durable powder coating, which means they maintain their fullness and freshness even after prolonged exposure to the elements. All of our Approved Installers have been tested and tried for their quality standards, ensuring you always get a professional and reliable installation. This means that you can enjoy the complete peace of mind that comes with knowing that your new home improvements are being handled with expertise and respect. We understand that installing a new set of aluminium French doors into your home can prove to be a stressful and time-consuming affair. All members of our Approved Installer Network strive to ensure the installation is carried out quickly. This means you’ll be able to benefit from market-leading quality sooner and hassle-free. Z/T sash sections to ensure a higher standard of weatherproofing. Low threshold available if required, in full compliance with Document M building legislation. Door sections and hinges are reinforced to deliver robust performance. Get in touch for our excellent aluminium French door prices. Contact us for a free door quote today.